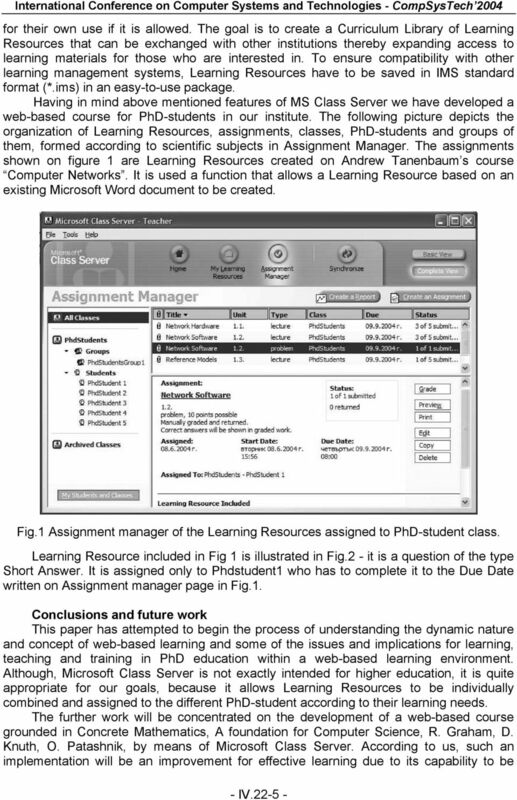 Download "Implementation of the Web-based Learning in PhD Education"
Communication Software Laboratory Academic Year 2007-2008. 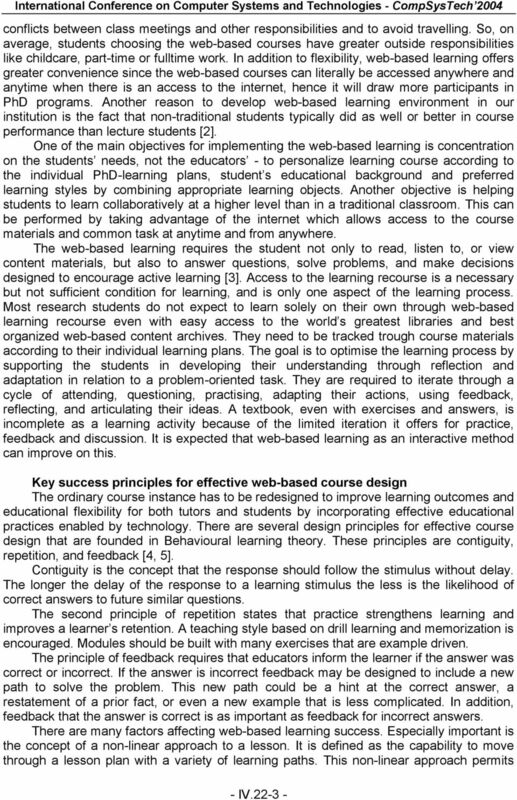 E-learning Platforms. Moodle and Dokeos. Instructional Design 1 RUNNING HEAD: INSTRUCTIONAL DESIGN AND PEDOGIGCAL ISSUES Instructional Design and Pedagogical Issues with Web 2.0 Tools Amelia W. Cheney Robert L. Sanders Nita J. Matzen John H.
Developing Online Self-Paced Training for Student Tutors at the University of Hawai i Maui College"
Categories Criteria 3 2 1 0 Instructional and Audience Analysis. Prerequisites are clearly listed within the syllabus. HOW EDUCATIONAL TECHNOLOGY TOOLS CAN SOLVE CHALLENGES IN TEACHING AN ONLINE FINANCE COURSE? Presented by: Laura Vatsala & Shubha P Asst. 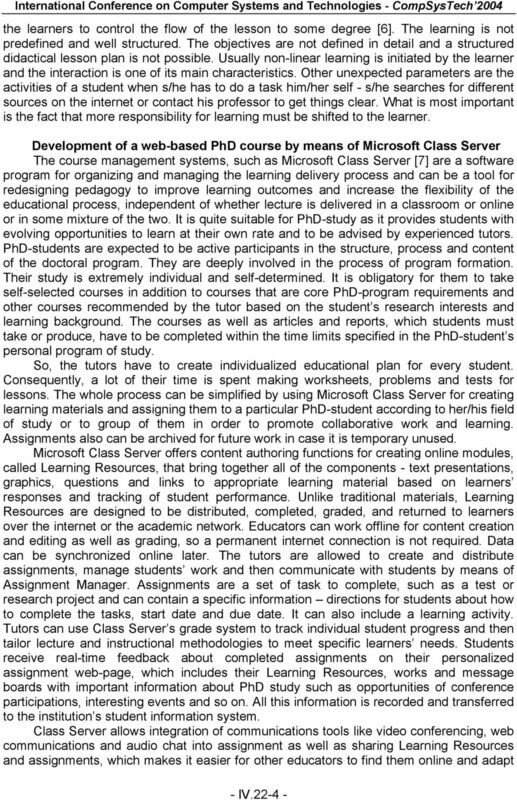 The Role of ICT in Indonesian Language Learning and the Teaching of BIPA Wieke Gur, BahasaKita ICT (Information and Communication Technology) has been used in almost all fields of life, including in education.